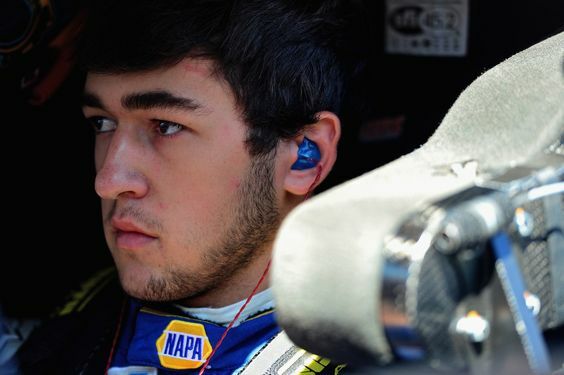 Georgia native Chase Elliott is receiving an extra boost of good luck from his home track, Atlanta Motor Speedway, for the 2018 NASCAR season. Entering his third fulltime season in the Monster Energy NASCAR Cup Series, Dawsonville, Ga. native Chase Elliott is getting an extra boost of goodwill from his home track as the 22-year-old driver seeks his first victory at NASCAR’s top level. 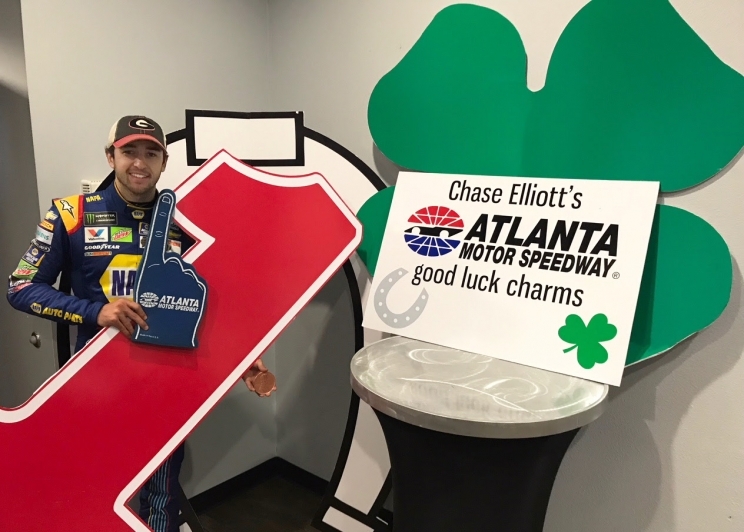 For an added measure of good luck in 2018, Atlanta Motor Speedway is soliciting good-luck charms of any size, shape or form from race fans across the country. 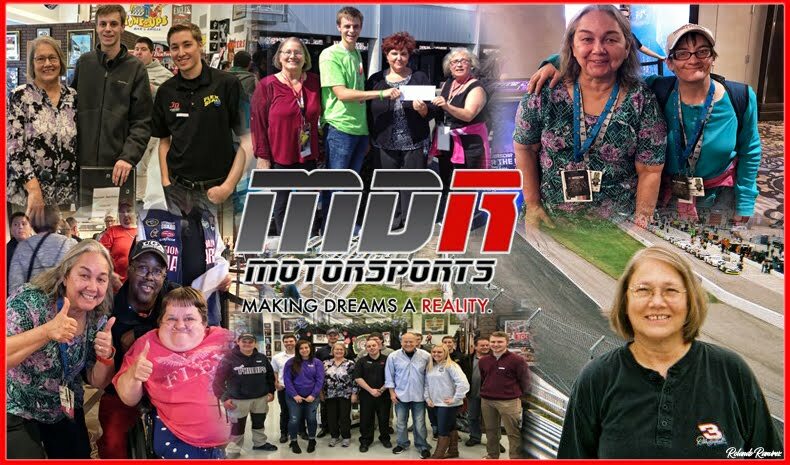 Rabbit’s feet, horseshoes, lucky pennies, “whatever it takes,” fans are encouraged to ship their lucky charms to Atlanta Motor Speedway, who will present them to Elliott at a special event at the track on Feb. 13. After qualifying for the NASCAR Playoffs for the second straight season in 2017, Elliott rattled off a string of consistent finishes to advance to the Round of 8 and ultimately finished fifth in the overall driver standings. He was the top-finishing driver among the four-car Hendrick Motorsports lineup and bested his previous finish of 10th place in 2016 by five spots. Still, that iconic first career win has yet to materialize. 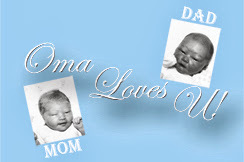 But if AMS and its fan-interactive good-fortune campaign have anything to do with it, it won’t be long before the No. 9 Chevrolet makes its way into Victory Lane. A similar promotion by Charlotte Motor Speedway worked for Chase’s father, NASCAR Hall-of-Famer Bill Elliott, years ago. After racing in parts of seven seasons in the Winston Cup Series between 1976 and 1982, as well as his first full-time season at NASCAR’s top level in 1983, the senior Elliott had a plenty of success in the early years of his career “ including eight second-place finishes” but went winless in his first 115 starts. 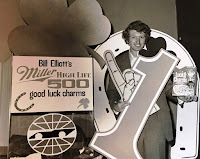 To help push him over the edge and finally into the win column, AMS president Ed Clark, then public relations director at CMS, organized a “lucky charm” campaign for Elliott near the end of the 1983 season when the series stopped at Charlotte in mid-October. And wouldn’t you know it? Showered in trinkets and charms from fans across the U.S., Elliott went on to lock up his first career victory three weeks later in the season finale at California’s Riverside International Raceway. 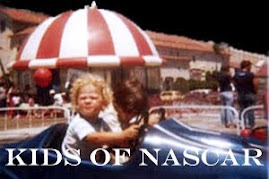 In recreating the same campaign thirty-five years later, Atlanta Motor Speedway and Chase Elliott fans everywhere, no doubt are hoping that an extra dose of good luck, along with strong racing genes passed down from his dad, can again propel an Elliott into Victory Lane for the first time and hopefully by the time NASCAR returns to Atlanta, Elliott’s home track, for the Folds of Honor QuikTrip 500 during the second week of the 2018 season. Fans can also participate by using the hashtag #GoodLuckChase across the various social media platforms with pictures and messages to Elliott. For more information or purchase tickets today, call the AMS ticket office at (770) 946-4211, (877) 9-AMS-TIX or visit http://www.atlantamotorspeedway.com.